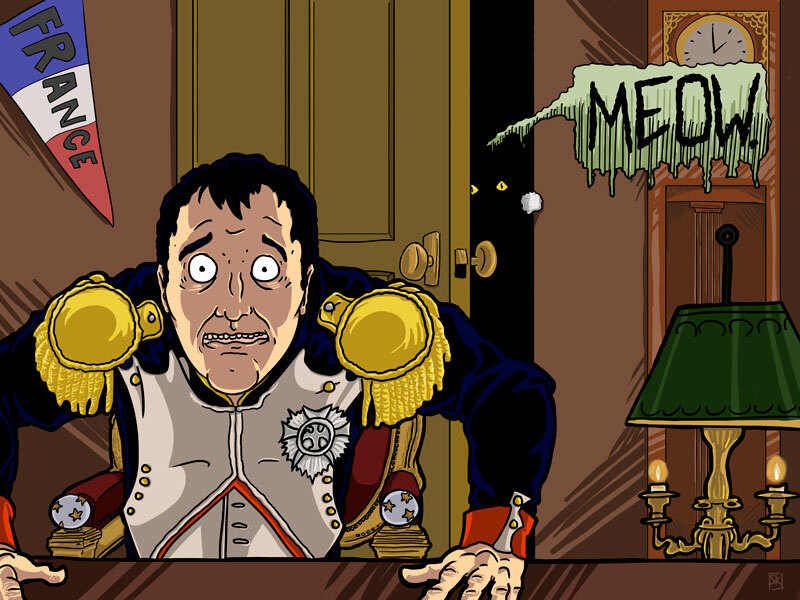 The Art of Seth Kumpf: Fact: Napoleon Bonaparte was afraid of cats. Fact: Napoleon Bonaparte was afraid of cats. Done for my Illustration Styles and Concepts class in Adobe Photoshop CS4.